The lack of studies in primary care and the paucity of NTproBNP data means large scale trials in primary care are needed to assess the role of this to improve care of patients with chronic heart failure. Chronic heart failure is a serious long-term condition that causes the heart muscles to weaken, and produce proteins called natriuretic peptides. Rapid point-of-care tests performed in a GP surgery or an emergency department could help identify patients with suspected chronic heart failure and therefore improve their outcomes. We therefore conducted a systematic review of studies assessing the diagnostic accuracy of these tests compared to diagnosis using echocardiography, clinical examination or combinations of these. We only looked at studies that were done in primary care or other ambulatory care settings – where the test would be used in practice. We included 37 studies assessing the diagnostic accuracy of two different natriuretic tests (BNP and NTproBNP). Only 5 were done in primary care. The studies we found had considerable variation in the types of patients they included, the healthcare settings and the thresholds used. There was a wide range of sensitivity and specificity at different thresholds reported in the various studies. For the BNP test, the pooled sensitivity and specificity were 0.95 and 0.57, respectively, while for NTproBNP pooled sensitivity and specificity were 0.99 and 0.60, respectively. But it was important to note that the sensitivity was more variable in the studies conducted in primary care. Our review showed that BNP has variable ability to exclude chronic heart failure in patients in ambulatory care. A positive test would need to be confirmed with cardiac imaging and also appropriate follow-up. We also highlighted that certain thresholds recommended by guidelines might be relevant, but further research is needed to confirm which thresholds are the most appropriate in an ambulatory care setting and whether implementing them can improve patient care. For now, we need some high quality evidence in the form of randomised trials to better guide its use and clarify appropriate thresholds to improve outcomes in patients with chronic heart failure. Taylor KS, Verbakel JY, Feakins BG, Price CP, Perera R, Bankhead C, Plüddemann A. Diagnostic accuracy of point-of-care natriuretic peptide testing for chronic heart failure in ambulatory care: systematic review and meta-analysis. BMJ. 2018 May 21;361:k1450. doi: 10.1136/bmj.k1450. 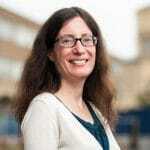 Annette Pluddemann is a Senior Researcher in the Centre for Evidence-Based Medicine, University of Oxford, and Course Director of the MSc in Evidence-Based Health Care. Competing interests: AP reports grants from NIHR and grants from NIHR School of Primary Care Research, during the conduct of the study; and occasionally receives expenses for teaching Evidence-Based Medicine. Funding: This article presents independent research funded by the National Institute for Health Research (NIHR) under the programme grants for applied research programme (RP-PG-1210-12003). The views expressed are those of the authors and not necessarily those of the NHS, the NIHR, or the Department of Health.